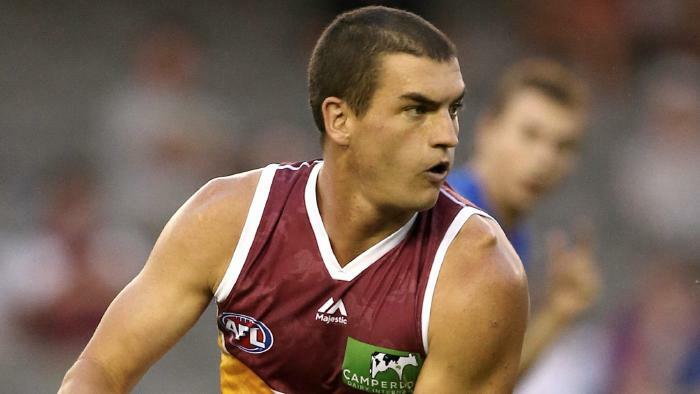 TOM Rockliff is officially heading to Port Adelaide after the Brisbane Lions decided not to match an offer on the restricted free agent. The Lions will receive a draft pick at the end of the first round, meaning they now hold picks 1, 12, 18 and 19. Fox Sports chief AFL reporter Jake Niall reported on Tuesday that Rockliff will sign a four-year, $2.8 million deal. “I met with Ken Hinkley, Travis Boak and some other key people at Port Adelaide after the season and was really impressed,” Rockliff told the Port Adelaide club website. “I think the club can be great for me as a footballer and I think I have a lot to offer the club too. Meanwhile, a major suitor for Melbourne’s former top draft pick Jack Watts has all but ruled themselves out of the race. While Geelong has confirmed it is interested in the forward, it says a potential deal looks too difficult. “We’re unlikely to be able to do a deal for Jack Watts to be able to come to Geelong,” Cats list boss Stephen Wells told AFL Trade Radio. Port Adelaide has emerged as the frontrunner in the pursuit of Watts, having offered the forward a three-year contract. Jake Niall believes Port Adelaide’s offer has put it at the front of the queue to snare Watts, who is also being chased by Geelong and Sydney. “They’ve offered Jack a three-year contract already,” he said on Fox Sports News’ AFL Tonight. 0 Response to "AFL latest trade news, rumours, Day 3 live blog: Offers, done deals, for every player and club"